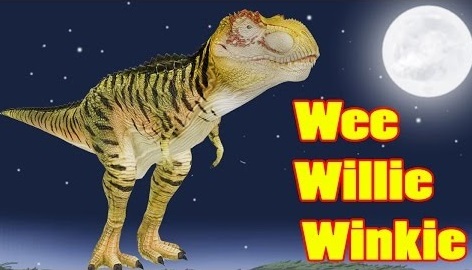 Wee Willie Winkie Nursery Rhyme for Children with Dinosaurs Cartoon Animation by My Superhero Rhymes.Learn this funny dinosaurs Wee Willie Winkie Nursery Rhyme and also sing along with us. knocking on the window, crying through the lock. "Are children all in bed, its past eight o'clock".